Joseph Polansky is a full time practicing astrologer since 1974. His work has been published in all the major astrological magazines. 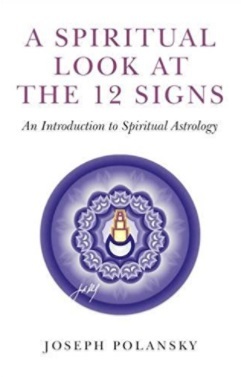 He is the co-author of Sun Sign Success (Destiny Books), Your Personal Horoscope (Harper Collins), A Spiritual Look at the 12 Signs (Dodona Books) The Moving Universe (Dodona Books), A Technique for Meditation (Mantra Books) . He is to co-author of Pendulum Power, considered by many to be the most important book on the subject. 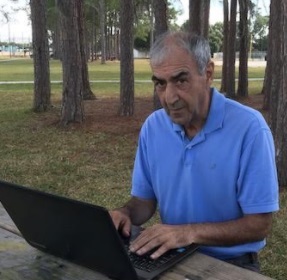 He is the Editor and Publisher of Diamond Fire, a quarterly esoteric review, and The Astrologer’s Notebook, a quarterly newsletter. He currently resides in North Port Florida where he caters to an international clientele. I enjoy doing many things. I love metaphysics and spirituality and a big part of my practice involves that. But my first love is Astrology. I was born into a religious - fundamentalist - family. Astrology was pooh - poohed. When I was first introduced to it - during a personal crisis in my life - I fell in love immediately. It was (and still is) so beautiful to me. It felt like meeting an old friend - an old love. It was totally familiar to me. I understood the books and the reasoning. It is so many things - a cosmology, a spiritual teaching, a philosophy, a psychological system - and also something that gives you a handle on the practical affairs of life. I guess I would say that I do that best - and this is what most people call me for. A very simple answer - Spirit - God - The Divine - Consciousness - whatever name you want to call it. It doesn’t really matter. Three simple words, uttered from the heart and not just from the lips, have transformed my life. And, by the way, it will transform anyone’s life. What it did for me it will do for any man or woman. The Divine doesn’t play favorites. What are the words? Get in connection with the Divinity in you and say “Thy Will be Done” - and mean it. This opens the door for the Divine to come in and do what it wills in your life. It takes great courage to do this, by the way. But once the fears are overcome, it is pure magic. Everything changes. First the mind changes. Then the feelings. Then the physical circumstances. In this regard I was like most people. At one time I felt that being successful in my career would bring me happiness. It didn’t. Then I thought maybe I need to travel the world and see all the exotic places - yes, that will make me happy. It didn’t. Then, like most people, I felt that a great romance would make me happy. And while it brought certain pleasures, it didn’t bring lasting happiness. I thought that the publication of my books would bring me happiness. I’ve published more than 25 of them. It didn’t. Then I thought that changing the world, getting involved in some great altruistic cause, would bring happiness. It didn’t - though there’s nothing wrong with that. So right now I’m in a place with “no goals”. I have “preferences” on the human level - I would like my books to sell more, I like certain foods, I would like the magazine and newsletter that I publish to sell more etc. etc. But I don’t need those things to be happy. It would be nice, but I will be happy regardless. I’ve learned that happiness is only a spiritual choice that one makes. It has nothing to do with outer circumstances. I’ve been very fortunate. I’ve enjoyed much success in my life. Its difficult to say what was “greatest” - they were all great at the time. Just last week a cancer patient I’ve been working with - in healing meditation - had a body scan and her tumor shrunk. I was ecstatic and so was she. It was more than just the healing, I knew that she had a spiritual breakthrough in her life. Many years ago when my teacher fell ill, I went to give him a treatment. We had been distant for a few years. But when I finished he smiled at me - he was much perkier - he said “you’ve become a real healer”. I felt like a million dollars after that. He tended to be stern (he was a Capricorn) and didn’t dish out compliments very often. “Pendulum Power” the first book I ever wrote became the largest selling book on that subject in the world. It is still being sold now - 35 years later - and is required reading for certain courses. On a worldly level I guess the Your Personal Horoscope series published by Harper Collins would be considered the greatest success. It has been going for 24 years now (and in 2019 it will be 25). It is translated in many languages and is read even in China and India (many people there know English and they purchase the book). I get the most amazing letters of how this book touched people at crisis times in their lives and changed things. Perhaps my greatest success has been in making astrology more mainstream. I’ve had many of these kinds of moments, but two stand out. The first was at age 22 (approx). My brother took sick. He was young and handsome. The girls loved him. He was diagnosed with Lympho Sarcoma - a cancer of the lymph glands. This began a two year ordeal that I’ll never forget. I watched a strapping handsome boy - he was two years younger than me - slowly become a vegetable. He had many surgeries and many chemo therapy treatments. Little by little he wasted away. Nobody had any answers. Not the clergy who prayed for him, not the most esteemed professors at Mt. Sinai hospital. I was in a bad way watching this. Towards the end he was a mere skeleton who could hardly lift his arm. Add to this that I was in a relationship that I wasn’t happy with and in a business that I disliked. I was truly a psychological mess. During this period I was introduced to Yoga. A friend of mine who was a Yogi suggested that I take classes at Swami Satchitananda’s studio on the West Side of Manhattan. I was desperate and was willing to give anything a try. So I went. It was a beginner’s class taught by one of the Swami’s disciples. After the class I felt better than I had felt in a year. I felt peace. Calm. Serene. I was amazed to say the least. I started attending classed twice a week. I feel it was yoga that pulled me through that period. But it didn’t end there. One day one of my class mates invited me to a party where a famous astrologer would do readings. (This is the way things were done in those days - someone would host a party, collect the money and take the birth data. Then at the party the Astrologer would be in another room and call us in one by one.) My turn came. Keep in mind that the astrologer had never met me. All he had was my chart in front of him. He started to talk and tell me things. I was amazed. He knew me better than my parents - on a deeper level. How could this be? Then he told me that I would be writing books - he even named how many! I was flabbergasted. This was so far away from where I was at! It would be like saying “in two years you’re going to the Moon!” During the reading I had an epiphany. I must learn this. I must study this. I asked the astrologer if he gave lessons. He said no, but he wrote a name and phone number on a piece of paper and handed it to me. “This man is good. My wife studies with him.” A few months later, after my brother had passed, I called the number. The rest is history. It was that crisis that led me to my life’s work. The second challenge was also a turning point in my life. I was living in a 3 room basement apartment in Brooklyn. It was cold. I had recently returned from Japan and was re-starting my astrology practice. It was very rough going. I was 4 months behind in my rent and there were days where I didn’t eat - couldn’t afford it. I was meditating. This was keeping me going. I had been meditating on the affluence of God but with little outer result. As I sat in meditation, a presence came into the room. I didn’t see a face or a form and can’t say who it was (though I have my suspicions). But this was a palpable presence. The room was filled with light. A voice spoke - clear as a bell. The voice was in my mind. It was a telepathic contact. It said “you can start a magazine” - no explanation, just those simple words. There was no coercion in the voice. It didn’t say “you must” only “you can” as if the choice were mine alone - which it was. But even so, the whole notion was totally preposterous to my rational mind. Starting a magazine is an expensive project. I was at that time “below broke”. Broke is when you have zero money. I was below zero - I was in debt. And, my financial prospects at that time were not bright. “Its just ridiculous” I thought “out of the question”. Again the voice repeated “you can start a magazine”. This time I got a different meaning to the word “can”. The voice was saying that I was able to do it - that it was in my power to do it. Then the presence pointed to my electric heater. It said “it’s too close to the wall, move it.” I looked and it was right. It was right up against the wall. It could have started a fire. I got up and moved it away. Then the presence left. Back in meditation I took the inner decision, yes I would start a magazine. I would start small with the tools that I had available and gradually improve it. Here’s the interesting thing. The moment I made the decision - at that instant - the whole energy in my psyche changed. The shift in the energy was palpable. Some inner door opened. From that moment my whole financial picture changed. New and good clients suddenly came to me. My father, with whom I had been estranged, suddenly offered to pay my back rent - a true miracle considering our relationship. I was shown step by step how to go about publishing. Thus was Diamond Fire born. This winter season, we are completing 29 continuous years of publication. Here’s something I use for myself and for the people I work with. “Health is forever healthy in my consciousness now. Affluence is forever affluent in my consciousness now. Love is forever love in my consciousness now.” These statements cover all the bases. It requires some meditation to understand this, but the repetition will lead to the understanding. These are absolutely true spiritual statements and will pull the mind out of any negative condition. Here again we are dealing with evolution - inner growth. In youth I had many role models. I admired the spiritual heroes of yore - the Buddha, Moses, Jesus - and many of the more modern gurus such as Vitvan, Aurobindo, Ramana Maharshi et al. I strived to be like them. In literature I fell in love with the writing of Talbot Mundy (a very under appreciated author), E.E. “Doc” Smith (another under appreciated author), Dion Fortune and Rudyard Kipling (he was the most recognized of all of them, a best selling author in his day and a winner of the Nobel Prize). I wanted to write like them - on their level. A point came, however, where I realized that God (call it by whatever name you choose) had already done Jesus, Buddha, Moses, Talbot Mundy etc. Spirit had no need to repeat itself. But spirit hadn’t yet done Joseph Polansky. And so, I no longer have role models. I try to be authentically “me”. A difficult job by the way. But nothing in life is more worth while. I very much enjoyed traveling. I loved London for its history and the sense of grandeur one feels there. Bermuda and the Bahamas are nice restful places with exquisite beaches. I’m a Pisces so I love beaches and water. Arizona was also very alluring. You know, pretty much, that the day is going to be perfect - sunny, cloudless and no rain. The Far East, where I spent almost two years, was another amazing experience. Japan is not as physically beautiful as other places I’ve been to, but the people are amazing. The people make it beautiful. Everyone is so respectful. Young girls travel the subways at night with no fear. I once left an expensive pen at a bank - and I wasn’t even a customer there - I had gone in to buy a money order. They tracked me down (I still haven’t figured out how) and my pen was delivered at my place of work! Hand delivered! Noone accepts tips there. If you offer a tip to a cab driver or waitress, they politely decline. (I’m not sure if that is still the case, its been a while since I’ve been there.) I was a foreigner and basically a “rube” in that country. Yet, I was never over charged by a taxi driver or shop keeper. And, they easily could have - I probably wouldn’t have known the difference. In New York, it is a common place thing for a taxi driver to take a stranger way out of the way in order to run up the fare. This happened to me In Jerusalem of all places! The Holy City! Jerusalem was very interesting though. Like London there is a lot of history there. It reeks of history. It is the only place I’ve ever been to where the beggars (and there are many at the Western Wall - if you go there be sure to bring plenty of change) will give you lectures on how to give. They will not only tell you that you didn’t give enough (!!!) but they will also explain how you have to give with your right hand and not your left - unless you are lefty, then its OK. The beggars earn a nice livelihood there. People on their way to pray are not going to deny a beggar and they know this very well. Thailand is perhaps the most beautiful - on a physical level - of any country I’ve seen. It has mountains and beautiful beaches. My friends tell me that it is one of the best places for diving in the world. I enjoyed Spain very much, especially the City of Toledo. The cathedrals have the actual tombs of cardinals and other holy men. But my lust for travel - like so many other addictions - has fallen from me. I don’t have the urge. Where I am is the best and most beautiful. Nowadays I travel in the line of duty - to give a talk or do an event. I remember the times when my cupboards (and closets) were filled with essential oils, flower essences (I used to make my own), homeopathic remedies, vitamins, supplements and crystals of all shapes, sizes and varieties. By the way, these are basically good things, especially when you understand the astrological rulerships behind them. But it was getting a bit much. There was no room in the house for it all. I have more or less trimmed this down. If I need a certain product (and the needs can change year to year and even month to month, depending on your Horoscope) I get just what I need. In my spiritual practice I work to minimize reliance on the material world. Some of it is necessary to be sure. I do carry a pendulum around with me and I do need my ephemeris, astrology software and computer. But other than those things I like minimal reliance on matter. I found in healing, in most cases, if we are working correctly, healing will happen without any kind of material intervention. Sometimes “things” are needed and if they are they come to the person very naturally - all part of the spiritual healing process. Of late I’ve also discovered that if there is a book I need to read, or film to see or cd to listen to - it just comes. We can’t do completely without matter - not while we are in the body - but we can minimize the reliance on it. Life becomes much simpler. I have to say that I do enjoy my Iphone. So convenient. You can answer e-mails, catch up on your reading while you are eating or at the gym. I haven’t gotten to the point where I can pay bills with it - though I know that you can. It’s a bit advanced for me now. I’ve been very fortunate in that I’ve been able to earn my livelihood following my passions - astrology, spiritual science, healing and meditation. Even if I never got another client, I would still be involved in these things albeit in a different way. I would be more involved in research. I would spend more time charting world events and trends. Many passions come and go. For a while - from 2011 to 2015 - I had a passion for mandalas. I would see them in meditation and often they came with directions on how to do them - at times it was like watching a youtube video. A few thousand of them came out those years - you can see them on my website www.spiritual-stories.com. I’ve always had a passion for writing. I enjoy the act of it. Of late my passion has been spiritually oriented stories. These are stories that involve spiritual people and spiritual themes. They are educational but also entertaining - hopefully. I’ve published them in DIAMOND FIRE a quarterly esoteric review that I edit and publish. They are also available on my website. Right now about 28 have come out and there will be more to come. I had a strong passion for mandalas and short stories back in the 80's and 90's too. Then it passed for a while. My passion for Astrology and spiritual science has never left.